I'm an inventor and proud. Like a magician, an inventor makes something from nothing. Unlike a real estate developer limited by property or a hedge fund manager limited by market size, ideas are limitless. I'm an inventor—that sometimes reduces ideas to practice. More than once, I've commercialized an idea. The best part is I've been able to do those things while still participating in agency life, leadership and work. But I'm often asked about that last part: How do I do that? The short answer is I didn't try to do it at an agency. Although I love the stimulus, challenges and opportunities agencies afford me, they can be too slow and timid to capitalize on their own inventions. Independent inventors like me were once the main source of patents. Since the 1930s, corporate labs have become the engines of invention. For decades, these organizations have driven corporate growth, developing many of the fundamental inventions that run modern life—Bell Labs and the transistor, RCA and color television, GE and MRI technology, etc. In the process, R&D has become the ultimate corporate sacred cow—high investment in research will lead to a boatload of insanely great products that will carry a company to a new level, driving growth in profits and staking out vibrant emerging markets. At $8.07 billion, Apple's R&D expenditures accounted for about 3 percent of the company's total net sales for the 12-month period ending September 2015, the same portion spent during 2014 and 2013. Maintaining a constant R&D spend ratio as sales skyrocketed afforded a funding increase of roughly $2.03 billion year over year, or 34 percent. Apple doesn't disclose work on future projects, which are often in development for years before shipping, but the swelling R&D outlay signals work on a massive project beyond the usual expected upgrades. Apple isn't an advertising agency. Agencies are in the service business. They typically don't spend on people or tools and certainly not in the nonbillable category of new product development. Yet, more than ever, we're in an era when clients demand invention as part of their service. It's time for agencies to ask a hard question: If corporate R&D works, why aren't agencies doing it on a meaningful scale? Any new idea, technology or service threatens to cut the profit margins of the products that carry the market leaders. Why would RCA or GE have pushed solid-state technology when the profits from vacuum tubes were so high? Why would Kodak have pushed for digital cameras when its real money came from film? All of them eventually entered those markets, of course, but late and only when change was inevitable. Major corporations prefer just-in-time innovation, peaking just as older products are on the back half of their life cycle. But innovation comes in fits and starts, defeats mixed with occasional breakthroughs. Agencies are no different, and we've seen this with digital, mobile and programmatic. The other big reason agencies lag: execution. 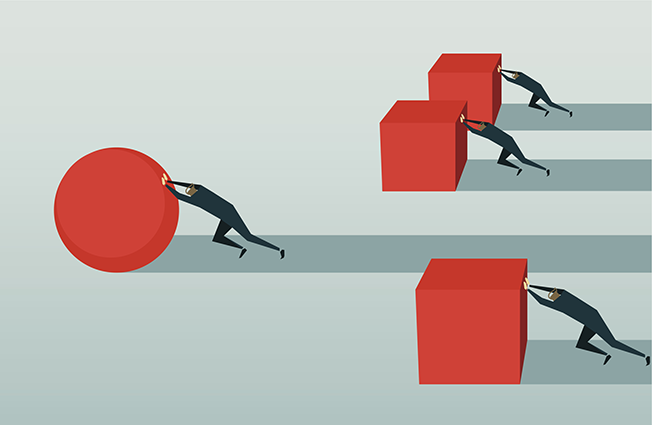 Every agency likes to innovate; very few want to take a development and productize it. That's hard work. Part of the problem is the internal barriers that agencies put up, but that isn't the real key. Show me the compensation system for agency managers, and I will show you why its execution is just plain awful. Agencies reward managers for making their numbers, not for building new businesses. Who wants to risk their bonus for an upstart technology that threatens the cash cows? The first thing we need is common language and to understand the difference between invention and innovation. People use these words interchangeably, but they're not the same thing. Consider "invention" as pure science and "innovation" as applied science. Innovation is how an agency can monetize marketing ideas. In marketing, however, innovation is easily distinguished from invention by following the money. Invention is seen as the conversion of money into ideas. Innovation is viewed as the conversion of ideas into money. This difference can be illustrated by comparing Thomas Edison with Nikola Tesla. Edison was an innovator because he made money from his ideas. Tesla was an inventor who spent money developing his inventions but was unable to monetize them. Agencies often claim to be "leaders in innovation," and some even add patents as evidence. Patents are evidence of inventions, of having thought of something first and documenting it through a legal process. The usefulness of those inventions is unproven, so "inventions" don't always equate to "innovations." There are many patents that really don't have a use or influence on culture. Patents without a "use" are not innovation. If innovations assume the "use" of a new idea or method, then an invention that leads to innovation is really qualified by how much it changes culture, the businesses and the processes around it. The model of a corporate R&D lab as the engine for invention has lasted for decades. What every agency regardless of size needs is single-mindedness and a sense of entrepreneurial urgency. Yes, agencies have to hit their numbers. But start carving out a piece—say, 2 percent—devoted to new ideas the agency (not the client) owns that could change culture. And celebrate the leadership for trying, and failing, with those funds. Looking at the companies and organizations considered successful in innovation—Google, Apple, Tesla, Facebook—we see common behaviors and environments. The first is the culture of celebration—promoting employees to share and internally market their ideas. Agencies need more of this. Transforming an agency to facilitate invention might not be a huge change, an enormous investment or a massive restructuring. It could be as simple as adding social concepts and new ways of managing and measuring success to the existing structure. Keys to success include leading from the front instead of managing down, listening to and encouraging new ideas, and leveraging the years of experience and knowledge at the top of the company to support teams of smart creative employees and help push their ideas up. The old model is dead. It's time to build a new one. 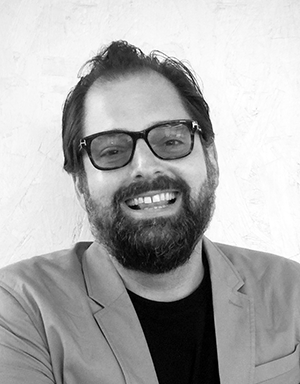 Jason Alan Snyder is chief technology officer at Momentum Worldwide and a juror for the 2016 Project Isaac Awards. Check out Adweek's Project Isaac Awards here.